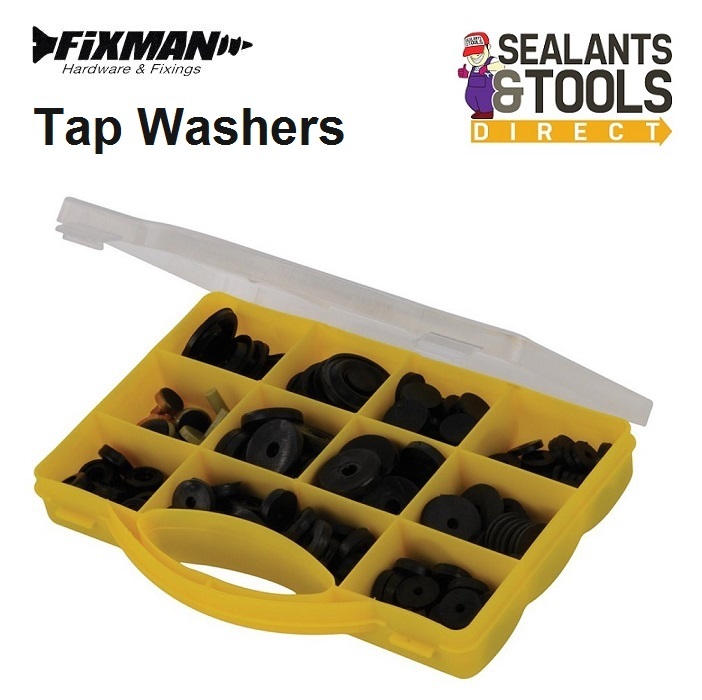 Assorted flat, domed washers and jumpers to repair most tap sizes. Flat tap washers 3/8", 1/2", 5/8", 3/4". Delta tap washers 1/2", 3/4". Dome jumper washers complete 1/2", 3/4". Supertap jumper type A 1/2", 3/4". Supertap jumper type D 1/2".